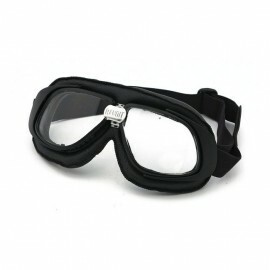 GOGGLES There are 79 products. 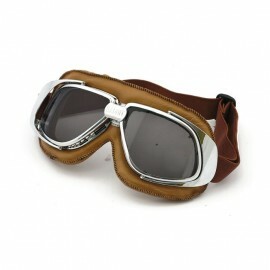 This old vintage mask it was renewed with 2/5 colors of over-lenses. 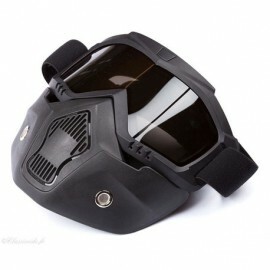 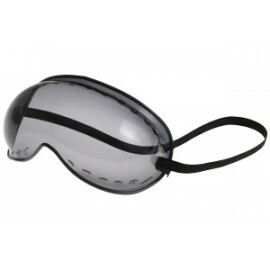 It is ideal for a spartan look and also as a basic mask for those who wear prescription glasses. 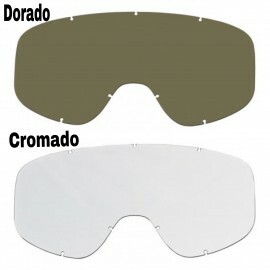 It is an optimal Quality/ Price bargain.Frame provided in opaque Black color.Covering lens in optical acetate color Ambra, Smoke, Green, Light Brown Roviez and Yellow. 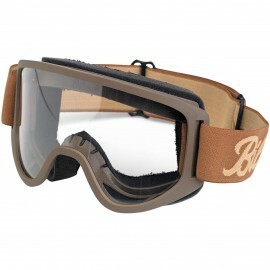 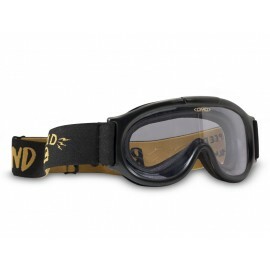 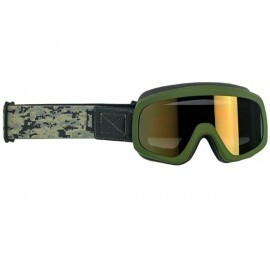 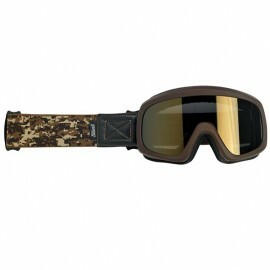 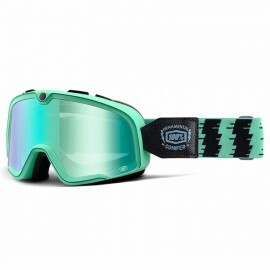 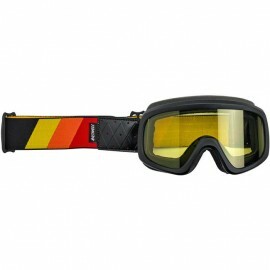 This old vintage mask it was renewed with 2/5 colors of over-lenses and a camouflage frame. 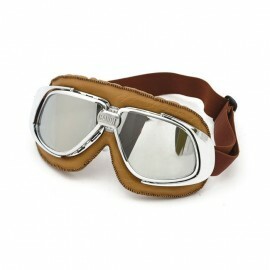 It is ideal for a vintage look and also as a basic mask for those who wear prescription glasses. 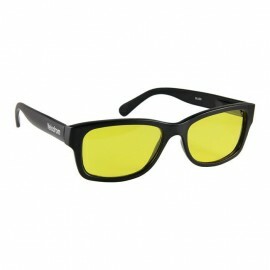 It is an optimal Quality/ Price bargain. 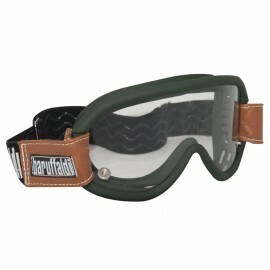 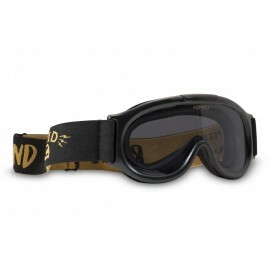 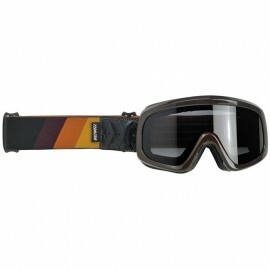 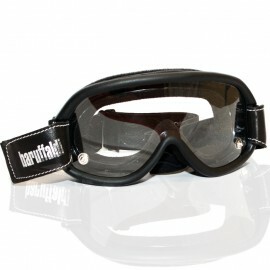 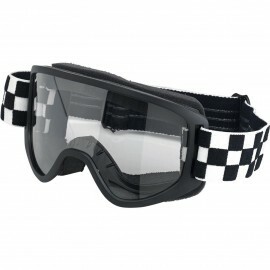 Metal goggle of easy manufacturing but with pad in genuine Italian leather. 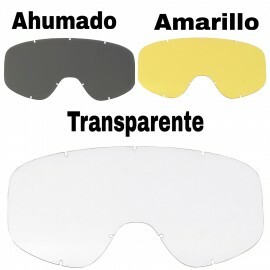 Compromise between the cheapness of the frame and the quality of the leather.Light smoke antifog polycarbonate lenses. 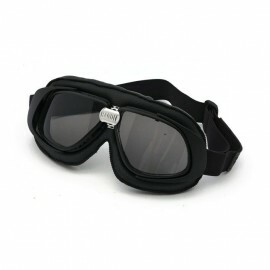 It is a classical Goggle. 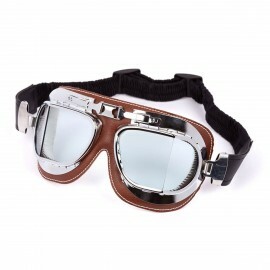 A lightweight metal frame in the colors gray, gun and black nickel shiny with drop shaped lens in Brown Roviez and Smoke Flash colors.It has protective temple in leather lining on the earpiece, they are protective and easily detachable. 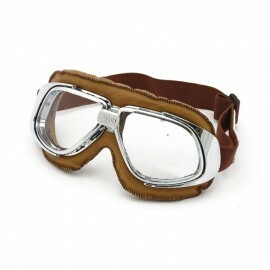 The bridge is covered in leather. 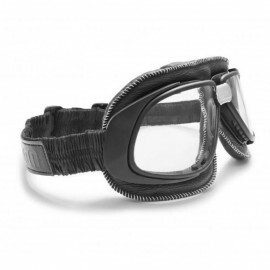 It is a classic leather mask that is entirely made in Italy with an hand fishing touch.Available in different leather types very soft and massaging, with interchangeable over-lenses to be used by day and by night.Excellent ventilation, with a special hook that closes on all helmets. 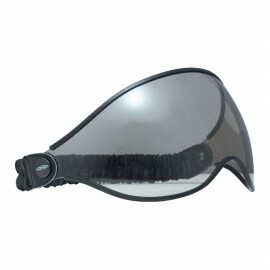 Easy in the spare parts because it is completely removable. 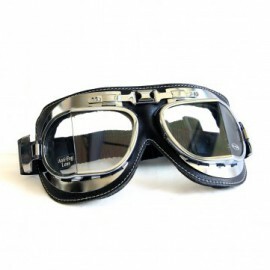 This is a Goggle mask made of classical leather with two separate cushions, entirely refined by hand in Italy. 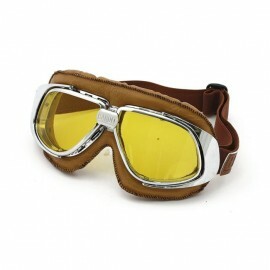 It is available in different types of leathers and with a glossy chromed frame or an opaque one. 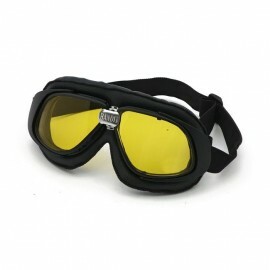 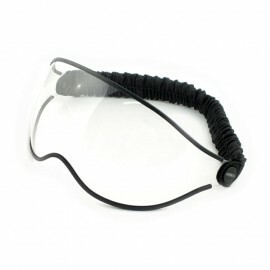 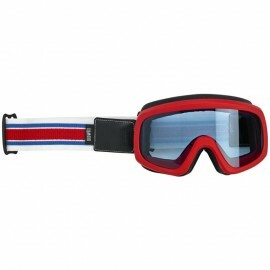 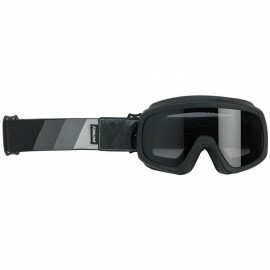 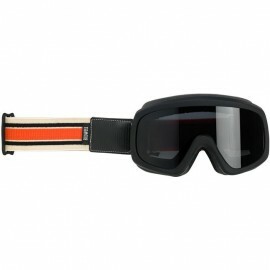 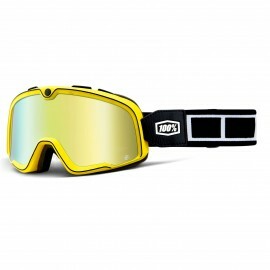 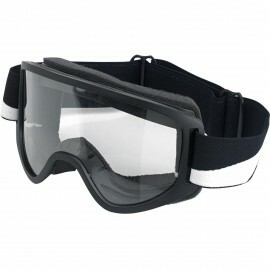 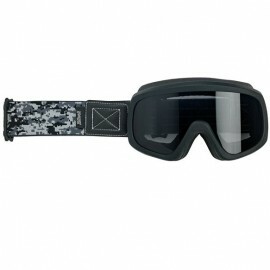 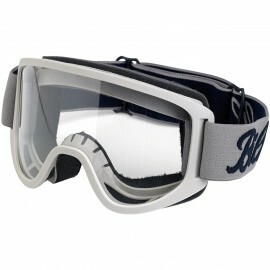 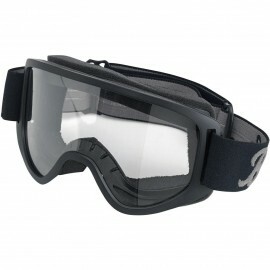 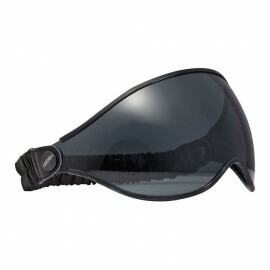 It has interchangeable over-lenses, which protect from the sun.